Utah is an all property state. The appreciation of any separate property is marital. Utah divides property in an equitable or “fair” manner, which means it’s not always equal. Generally in Utah the courts will accept a fair and reasonable property division the parties agree to. But if the parties can not agree the courts will divide the property as they see fair within the divorce decree. Also, in Utah, alimony is considered part of the equitable division of property. Marital assets refers to all property acquired during the course of the marriage, regardless of ownership or who holds the title to it. Examples of marital assets may include, among others, house(s), cash, stocks, bonds, cars, pensions, and insurance. Most courts also treat the increase in value of a premarital asset as a marital asset. 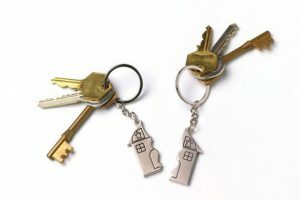 In simple terms, marital property is property that belongs to the married couple, while separate property is what each individual person considers to be their own. In general, marital property is what the couple acquired during their marriage, such as house, car, furniture. And separate property are things that the individual already had before the marriage. What exactly is “personal property”? When talking about divorce personal property are things that can be moved … like furniture, clothes, dishes, and appliances. The courts try to be fair when distributing these types of items by giving each person an equal share. 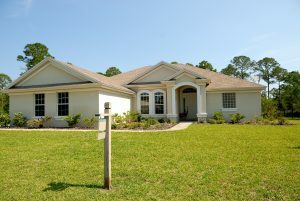 What happens with the money when we sale our home? Emotions will always make dividing the home harder. When talking about only the selling of the home … with the minus of any debts and liens … the equity of the home will be split equally between the two spouses. What happens to our retirement and pension accounts? Most of the time if each spouse has their own benefits they will be allowed to keep them to themselves. By Utah law, vested pensions could be considered marital property. The courts will use different methods of valuation to determine the worth and split it equitably between the two spouses. This is a major factor in any divorce. Besides custody battle, it is usually one of the most contested areas of the divorce process. By definition, alimony is the court-ordered monetary provision for one spouse provided by the other spouse after a separation or divorce. Should we go for a marital settlement agreement? By entering into a marital agreement, the divorce then becomes uncontested. A marital agreement is simply a contract used in uncontested divorces to divide the debts, assets, and properties acquired during the marriage by both parties. It also settles any issues pertaining to alimony and child custody. Most courts will approve in the agreement is found to be fair and beneficial to both spouses. If the courts question the fairness of the agreement they will review financial records to determine amounts. How can I make sure I get what’s really mine in the divorce? Do I need a lawyer? Having an experienced and knowledgeable lawyer by your side can definitely improve your chances of getting what you want and need from the divorce. A dedicated lawyer will protect your rights and will work with you to determine the best course of action to take. Although, no, you do not need a lawyer …. It will definitely improve your chances of a fair divorce. At Stevens & Gailey, PC, we are committed to one objective, our client’s. We strive to move your case forward in a logical and calculated manner with your goals in mind. We communicate directly with our clients and explain each step and option along the way. Our goal is to make sure our client is able to move forward with a clear understanding of their actions and with the information needed to promote their best interests. We work tirelessly to ensure our clients receive the best service at a reasonable cost. Stevens & Gailey is constantly improving processes and procedures to increase efficiency and has invested heavily in technology which is used in our firm to increase productivity.